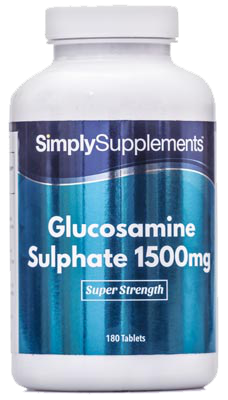 One of the first decisions you'll need to make when choosing a glucosamine supplement is whether to opt for glucosamin sulphate or glucosamine hydrochloride. Both versions offer similar benefits; the difference is in the delivery mechanism. Glucosamine sulphate is the most heavily researched version, and is therefore recommended in most situations. 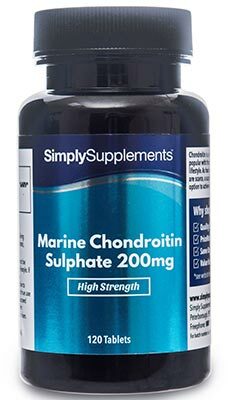 Being sourced from marine organisms, however, it's not ideal for those with a seafood intolerance. 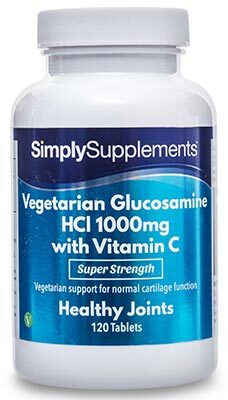 Glucosamine hydrochloride (sometimes abbreviated to HCI) is sourced from maize, and therefore represents a great alternative for vegatarians and vegans. 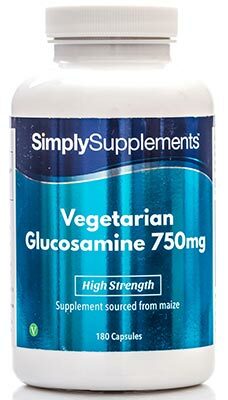 While some people report improvements in their condition within weeks of taking glucosamine, most research suggests that it can take 12 weeks or even longer to see the full benefit. During this time it is important to continue supplementation. 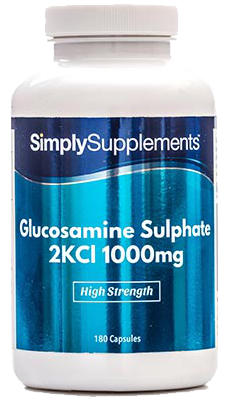 Glucosamine normally comes in tablet or capsule form and should be swallowed with a drink. 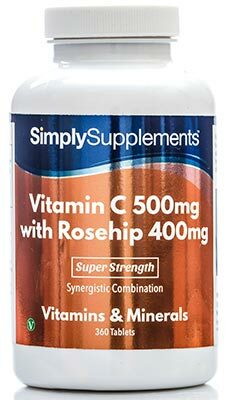 Research suggests that a dose of 1,000 - 1,500mg per day is ample for most people, and can be consumed in one dose or spread out throughout the day. 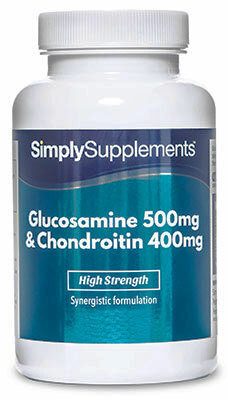 While it's not essential, many people looking to stay active choose glucosamine with other popular products. We call these "Perfect Partners" here at Simply Supplements. Rosehips are the red fruits of wild rose plants. They have been traditionally used by those seeking to alleviate swelling and pain in the joints. 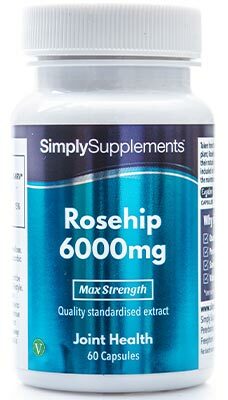 You might be surprised to hear that rosehip is also a fantastic source of vitamin C, which itself contributes to the formation of collagen - a crucial structural element in the joints. 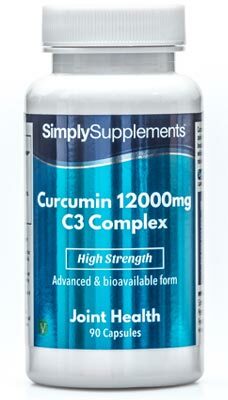 Curcumin is the active ingredient in turmeric, which has gained in popularity in recent years thanks to widespread media coverage. 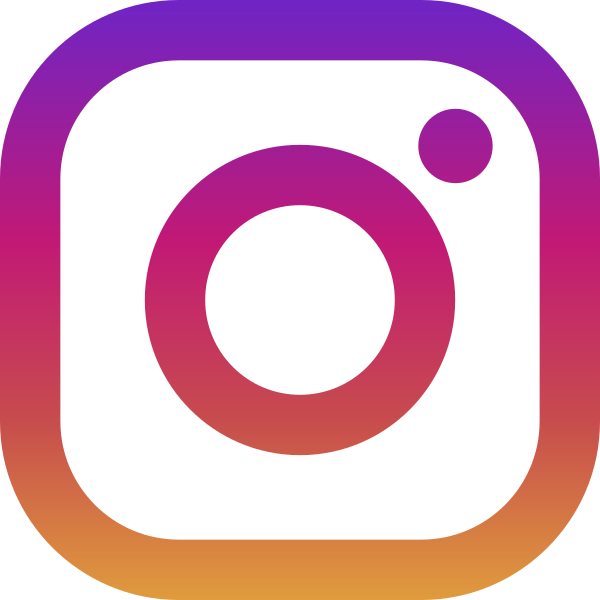 It is thought that turmeric benefits the body by helping to reduce inflammation that can otherwise reduce range-of-movement and lead to discomfort. 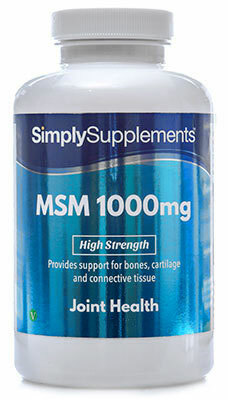 Alongside glucosamine it has almost become one of our very best-selling supplements of all.